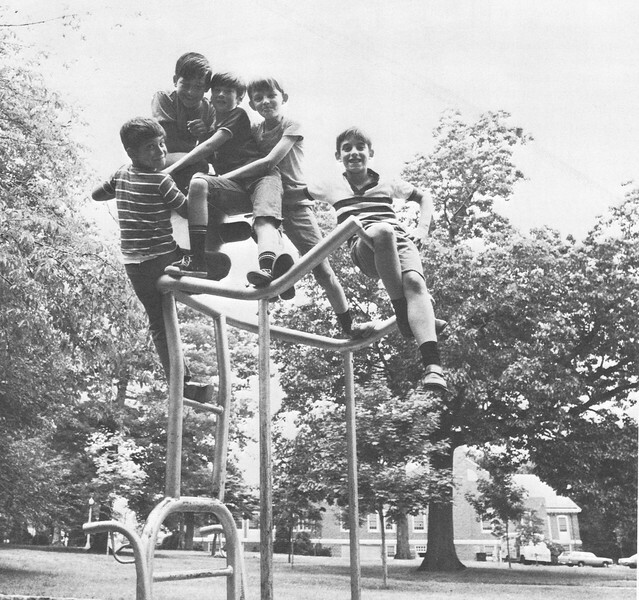 Here you will find some unsorted photos discovered in the Recreation Department files. Please leave a comment if you can identify any of these folks. 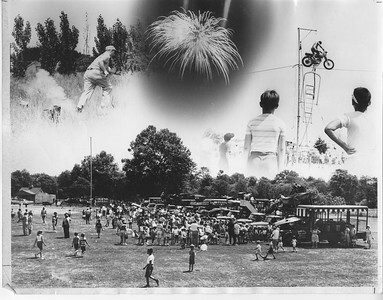 Fourth of July Celebration in Biertuempfel Park in the 1960s. 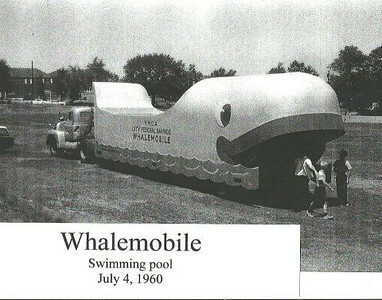 From the YMCA website - Swimmobile, a tractor-trailer – later dubbed the “Whalemobile” – with swimming pool on the back of the trailer, was invented by YMCA Director, Gerry Croushore. The swimmoble was driven from playground to playground in Hillside, Linden and Union where it was parked for one or two weeks while instructors gave swimming lessons. 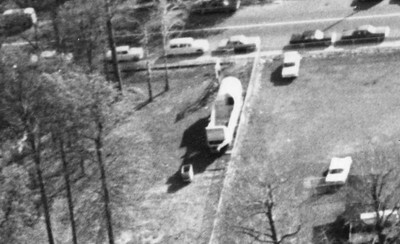 The swimmobile was so popular that a gymobile and nursery school trailer were also added. The beloved Whalemobile in it's natural habitat/parking spot near the old 5 points YMCA behind Peterson's hot dog stand. 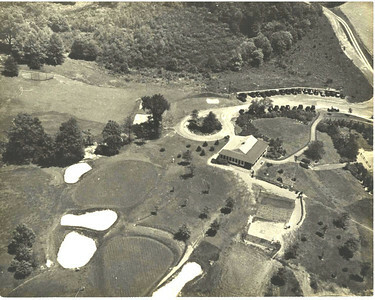 This is the only photo we have seen of the Battle Hill Golf Course taken in the 1940s by William Young while riding on his bike. 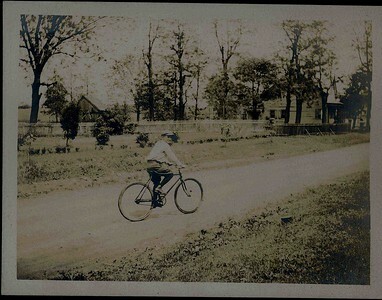 The photo was taken looking north on Springfield Rd. toward where the Bed, Bath and Beyond building stands currently. Mr. Young was a huge fan of the RVRR and took hundreds of photos. I am guessing that he was too late to get a closer shot of the train and we are lucky to have a shot of the golf course where it borders Springfield Rd. 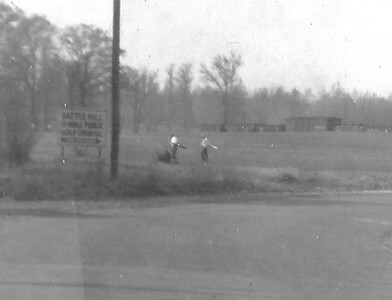 This is the only photo we have seen of the Battle Hill Golf Course taken in the 1940s by William Young while riding on his bike. 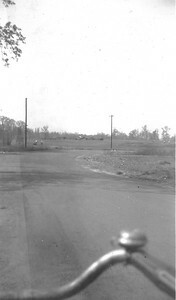 The photo was taken looking north on Springfield Rd. toward where the Bed, Bath and Beyond building stands currently. 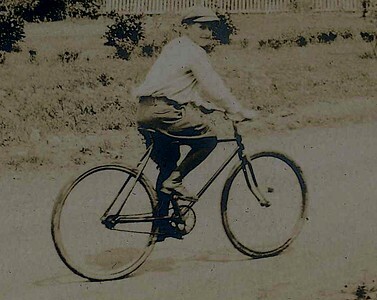 Mr. Young was a huge fan of the RVRR and took hundreds of photos. I am guessing that he was too late to get a closer shot of the train and we are lucky to have a shot of the golf course where it borders Springfield Rd and of the road itself. 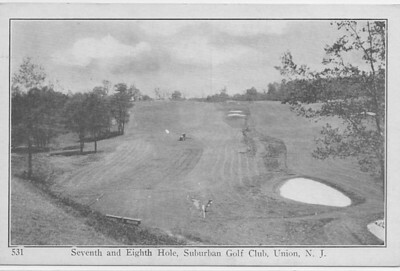 Post card of Suburban Golf Club from the rear. 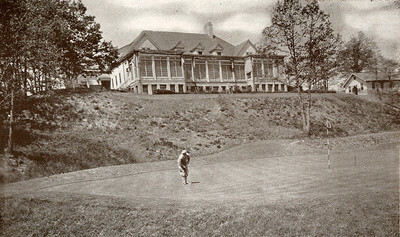 Suburban Golf Club from the rear. 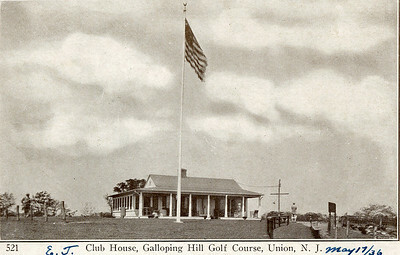 Club House at Galloping Hill Golf Course in 1936. 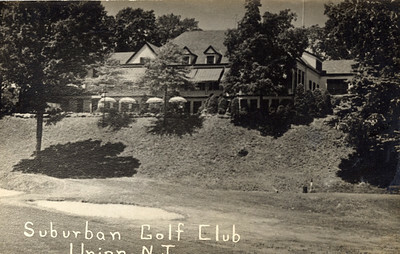 The building was recently torn down to build a new club with catering hall. 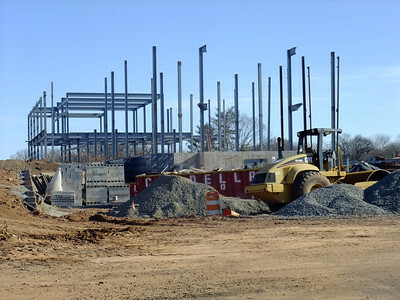 New construction of the Union County Galloping Hill Golf Club and Catering Hall. 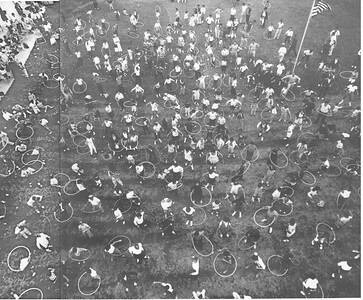 The Brookside Swim Club was located at the current site of Whole Foods on Springfield ave.
A zillion kids Hula Hooping at Brookside Swim Club in 1958. This photo was in life magazine in an article about the craze. 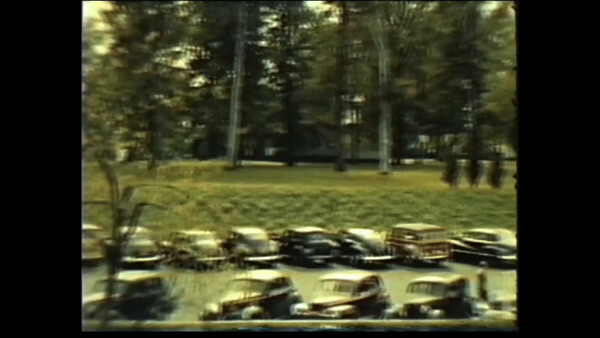 Panoramic film shot of Friberger Park in 1948 before the Library and Municipal Building were constructed. 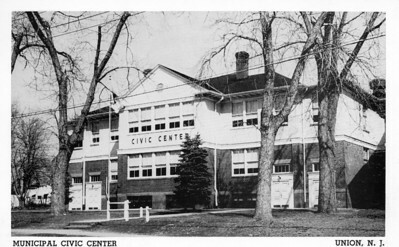 The Union Civic Center also known as the Rec Center was the former Connecticut Farms School. 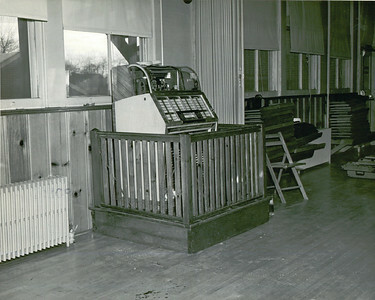 This juke box looks like it's on the witness stand at “Huckles Hangout” in the Union Recreation Center on Stuyvesant Ave next to Connecticut Farms School. 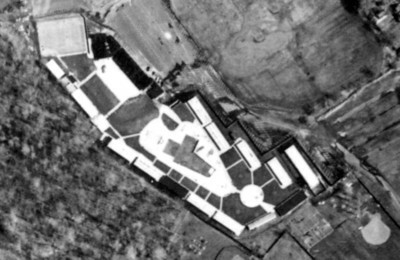 The building was built about 1906 and was the Connecticut Farms School until about 1938. 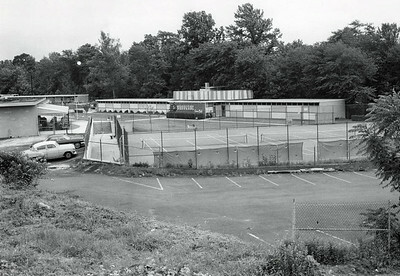 It was torn down to build condos in the 1980's. 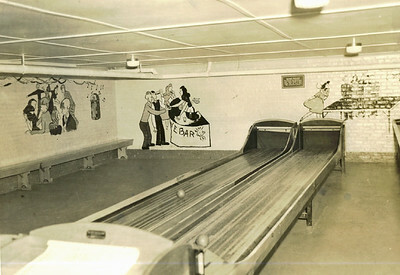 “Huckles Hangout” in the Union Recreation Center on Stuyvesant Ave next to Connecticut Farms School. 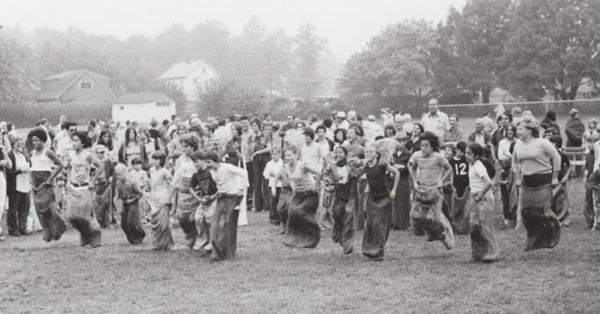 The building was built about 1906 and was the Connecticut Farms School until about 1938. 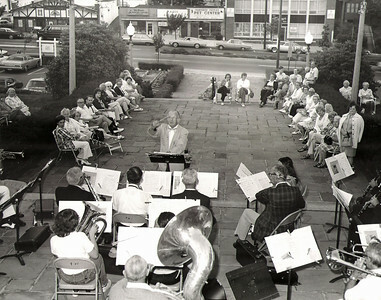 The building was torn down to build condos in the 1980's. 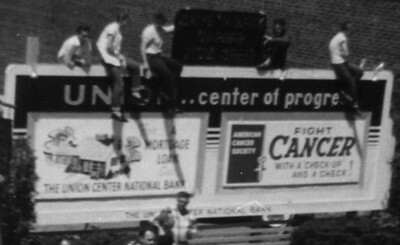 Photo from The Union Leader in 1969. left to Right Craig SullyRick CalifanoSteve KaiserPaul Garvey and Eugene Sully.